Recently, MilitaryByOwner ran a post discussing 2017 housing trends that military members should be aware of. One of the identified developments was the inclination for buyers to move away from the U.S. coasts in order to find more affordable housing in the middle of the country. Today, MilitaryByOwner’s homes of the week are located in exactly that region and are very affordable at under $200,000 each. They’re located near Scott Air Force Base and Coast Guard Saint Louis. Let’s see what homes at this price point offer potential buyers. This home is no longer listed. 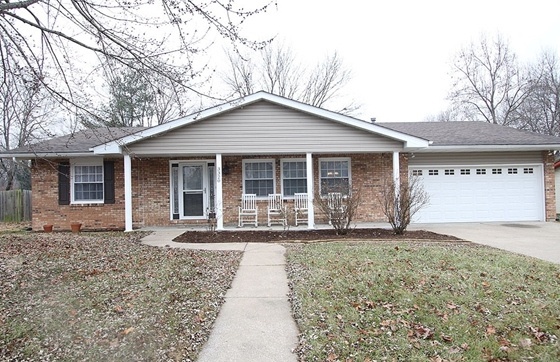 Check out current property listings near Scott AFB. This brick-faced ranch has nearly 1,800 square feet. 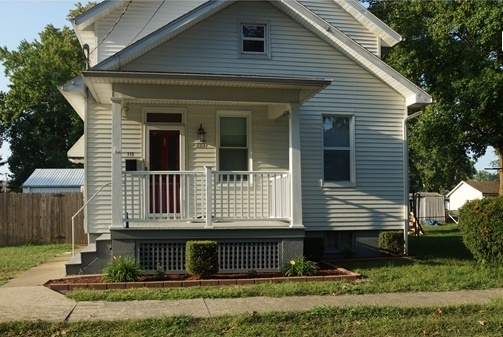 An inviting front porch has plenty of room for rocking chairs and space to visit with neighbors. A garage will protect and warm cars in the winter, as well as store hobby equipment. In the back, a large fenced-in yard is waiting for outdoor games and activities to be played. A patio is available for a fire pit and a fall evening s’mores party. The property has recently been renovated by owners with an eye for design. The entire living and eating spaces of the home subscribe completely to the open concept statement. 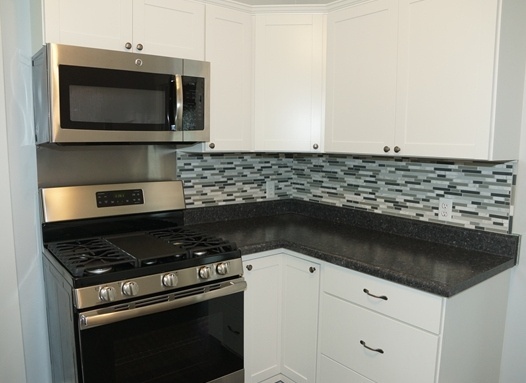 On trend paint, stainless appliances, and a surrounding tile backsplash in the kitchen are picture worthy. A stylish extra feature is the matching laundry/mudroom with the same paint and white cabinets as the kitchen for extra storage. Because of the open concept, both the dining and living rooms are easily accessible from the kitchen, making entertaining a breeze. 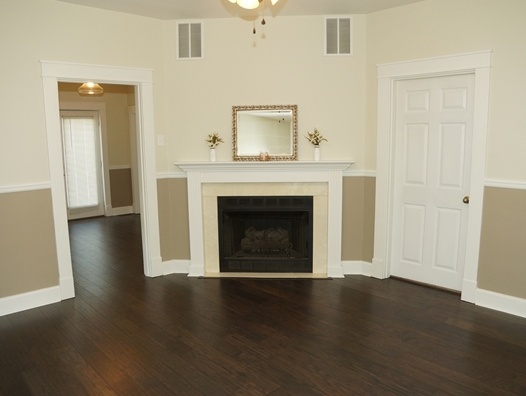 The living spaces are more than comfortable, especially where the fireplace takes center stage. Both of the living areas are likely to fit most sizes of furniture. Each of the two bathrooms is updated. The master bath has dual sinks and mirrors, and the second bath is perfect for children in the other bedrooms and guests who have come to visit. 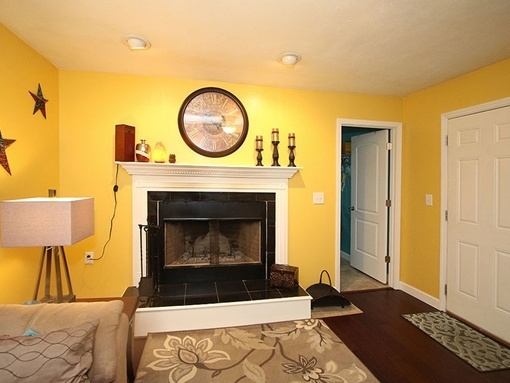 Oh, renovated home with historic charm, how we love thee! Equipped with details from the best of both worlds, this home is something to see. Buyers who desire to simply move in without the hassle of updates will be pleased to find a remodeled Depression-era home with today’s tasteful and neutral aesthetics. 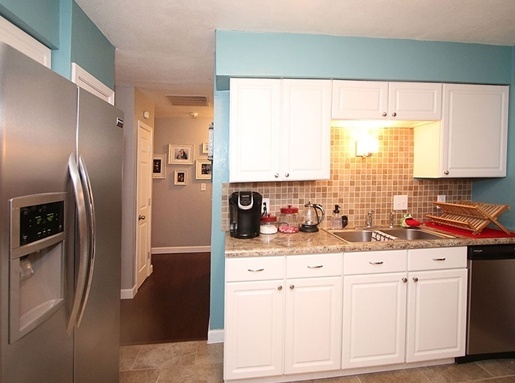 In the new kitchen: updated counters, stainless appliances, tile backsplash, cabinets, and gorgeous natural light. Luckily, the beautiful and original woodwork remains, but the upgrades are plentiful. Throughout the home you'll find new lighting fixtures, hardwood floors, bedroom carpet, 10-foot ceilings, and fresh paint. The hidden secret in this house is the full basement with two built-in work benches, roughed-in shower, and more than enough storage. The potential to build additional living space is just calling to the next owners to make it their own. Outside, the abundantly pleasant front porch is ideal for relaxing with cocktail in hand. In the back, a large, fenced yard space is grounded by the walk-out deck perfect for fall and spring entertaining when the weather is best. Four parking spaces in two garages offer convenience and much desired storage. It’s easy to see why buyers are headed to the Midwest! Both of these very affordable homes have plenty of features to boast about. If either Scott AFB or Coast Guard Saint Louis are your next PCS trip, get in touch with these owners soon. Home sales at these prices will be hard to come by as the summer selling season creeps in. Be prepared for any real estate transaction through MilitaryByOwner’s multitude of resources, including E-books and legal documents.